[Satnews] Spacecom (Tel Aviv Stock Exchange: SCC), the operator of the AMOS satellite fleet, has announced that SpaceX has scheduled the launch of the AMOS-6 satellite for May 2016. Artistic rendition of the AMOS-6 satellite. Image is courtesy of EUTELSAT. AMOS-6, to be co-located with AMOS-2 and AMOS-3 at the 4 degrees West prime orbital position, will provide services to Western, Central and Eastern Europe, Africa, and the Middle East. 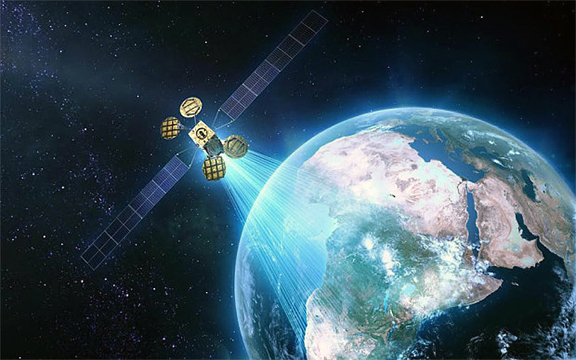 The satellite's Ka-band beams have been selected by Facebook to be the satellite backbone of that company's initiative to bring broadband Internet to Sub Sahara Africa with Eutelsat. Space-X is scheduled to launch AMOS-6 via a Falcon-9 rocket from Cape Canaveral, Florida, during the May 2016 window. 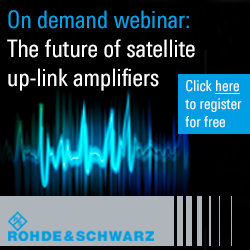 AMOS-6's 39 Ku-band segments and 24 Ka-band beams will provide a wide array of services. The new satellite will be larger than AMOS-2 and AMOS-3 combined and will incorporate new technologies such as High Throughput Ka-band spot beams for improved broadband internet access. The Ka-band spot beams will cover Europe and Africa as well as Ku-band technologies for new and existing clients. Spacecom CEO and president David Pollack, said, "AMOS-6 will expand our European coverage throughout all of the continent with a new Pan-European beam and with its HTS Ka-band spot beams and the satellite will take us into new markets and provide tremendous services to our clients."